Brand Advocacy software, sometimes referred to as Advocacy Marketing or Referral Marketing software, is used by companies to enable their brand advocates to promote their message, content, or products through word-of-mouth. A brand advocate is a customer or employee of a business who pro-actively shares it via mobile, email, or social media with or without incentive. Brand advocates are eager to share anecdotal evidence about their experiences using products and services, and brand advocacy software programs help to facilitate that sharing process. Products in this category are used by businesses in a wide-range of industries, most often by marketing or advocacy teams. The software can be used to help acquire new customers, develop brand identity, and engage loyal users. These goals are accomplished in a few ways. Some brand advocacy software programs use tracking codes to create customer referral programs which can be monitored from a dashboard. Others feature platforms that simplify the process for users to share a company’s content and marketing narratives, in some cases rewarding them for every share. Brand advocacy software tends to be focused on either employee advocacy or consumer advocacy, although there are a small number of products that provide platforms for both employees and consumers. Brand Advocacy reviews by real, verified users. Find unbiased ratings on user satisfaction, features, and price based on the most reviews available anywhere. Influitive’s AdvocateHub allows you to build a community and invite advocates— such as your customers, partners and employees—to complete challenges: referrals, product reviews, social media posts, and more. As they complete these challenges, which can be targeted to groups or individuals, they automatically earn points, badges, and levels to redeem professional perks and privileges. Easily report on all activities completed, and integrate with your CRM and marketing automation platform to incorporate advocacy along every step of the customer journey. GaggleAMP activates your employees to drive digital engagement. Our employee advocacy solution makes it easy and fun for employees to participate in your organization's digital marketing efforts. 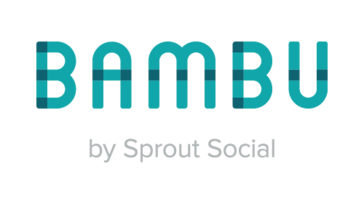 Bambu by Sprout Social is an employee advocacy platform that gives your employees a simple way to share curated, pre-approved content across their social networks. Sociabble delivers top of the line, mobile-first enterprise solutions for internal communication, employee advocacy, and employee engagement. A Software as a Service (SaaS), our platform aggregates content sourced from official company channels (social networks, company websites, etc.) and curation platforms, as well as content suggested by platform users (UGC) and administrators. Content is personalized and organized into themed channels and may be viewed on mobile, desktops, intranets, enterprise social networks, and display screens. The authorized content can be shared with one click to the user’s social media profiles. Beyond content consumption, employees can also engage with built-in quizzes and surveys. Sociabble uses gamification, rewards, and recognition on various levels of the user experience to maximize engagement. Sociabble’s unique employee communication and advocacy platform makes communications easy, quick, and engaging. Employees are better informed about company news, updates, and their workplace – leading to a more engaged and influential workforce. Companies can extend Sociabble’s use to their partners, external influencers, or brand fans. Launched in 2014 by a team of experienced entrepreneurs in digital asset management technology, social media, and content marketing, Sociabble is currently used in over 80 countries, and has acquired some of the world’s most prestigious clients, including Microsoft, BNP Paribas, L’Oréal, and PwC. Headquartered in Paris, France, Sociabble also has operations in New York City, London, and Mumbai. Smarp is the standard for modern employee communication. Their Employee App connects employees to the content they need to be successful in their work, while empowering them to act as brand ambassadors for their employers. Smarp helps employees build their thought leadership and networks, and to stay up to date with their company and industry news by making it easy for them to discover, share and measure the impact of great content. Smarp’s native mobile apps enable companies to push content directly to their employees’ smartphones, making sure employees are always well informed and up to date, regardless of whether they work in an office or are on the go. Smarp is the easiest way to create a well-informed and influential workforce. Employee Communication and Engagement Platforms are a critical component for the success of world-class organizations at a time of historic, unprecedented change in the global workplace. Successful serial entrepreneurs Russ Fradin, Steve Heyman and Jim Larrison founded the company in 2010 with the mission of establishing stronger bonds between organizations and their employees so great things can be achieved. Today, hundreds of enterprise organizations, including more than 20 percent of the Fortune 100, trust Dynamic Signal to align their organizations and increase productivity by delivering timely, relevant information to millions of employees around the world so they can do their jobs better. EveryoneSocial provides a social selling & employee advocacy platform designed to help your employees become powerful marketers, sellers, communicators, and recruiters. Whether you’re looking to increase brand awareness, drive more qualified leads, better enable your sales team, improve employee engagement, or attract and retain top talent, EveryoneSocial can be deployed for teams ranging from 500 to 50,000+ employees. Mention Me is a powerful referral marketing platform, chosen by 350+ leading brands worldwide. Our technology enables customers to share brands with friends and family using a wide range of social channels, plus our unique "share by name" functionality. This enables the referral to be captured in real world conversations and drives up to 30% more referrals. We support 19 different languages and multiple currencies to support international referral programs. In addition, our AB testing capability ensures that all aspect of the program are fully optimised and supported by our fantastic team of Client Support Managers. Our referral schemes are run on a CPA basis, so that you only pay for performance. MarketBeam is an AI-driven personalized social marketing platform that utilizes untapped executives’ and employees' social networks to 10X your social reach, elevate brand, and nurture leads beyond the usual corporate channels. Gamification encourages content sharing on social networks while building executive branding and individual employee thought leadership. AI-driven analytics constantly learns and identifies top influencers, popular content and social networks to maximize marketing ROI. Ambassador empowers marketers to increase customers, referrals, and revenue by leveraging the power of word-of-mouth. Their marketer-friendly software simplifies referral marketing, automating the process of enrolling, tracking, rewarding and managing your customers, affiliates, influencers, and partners. Consumer brands and B2B companies worldwide are rapidly implementing, scaling, and optimizing their referral marketing programs with Ambassador's pioneering software. Ambassador is also one of the fastest growing private companies in America according to the prestigious Inc. 500, with offices in Metro Detroit and Denver. Despite an explosion of sales acceleration tools over the last 10 years, sales reps continually struggle to start the sales cycle - they just don̥'t get in front of their target audience enough of the time. FRONTLINE Selling has developed a suite of solutions that guides reps on how to create Meaningful Interactions (MIs) with targeted individuals, create more sales opportunities and nurture them to close. It's a roadmap for prospecting success! The Staccato Suite of Solutions coaches reps to execute the sales prospecting activities that drive the best results. Based on the initial analysis of 1.8 million outreach efforts, Staccato is a proven process for navigating through a target account, identifying and engaging the right key players, and securing that all-important first Meaningful Interaction. The software delivers customizable, daily recommendations on accelerating the sales process, connecting with prospects through social selling and sharing company-approved content for brand amplification and thought leadership. Staccato by FRONTLINE Selling is the most effective way to engage your B2B buyers. SoAmpli is an award-winning advocate marketing and sales SaaS platform. Through a beautiful and user-friendly interface, SoAmpli helps companies turn their sales team into social selling stars increasing sales and powering brands. The SoAmpli platform facilitates the creation of a centralised space for heads of marketing and social media managers to quickly distribute fully-approved, 100% on-brand content to their sales team and employees, making it extremely easy for users to post – or schedule in advance - company content on their personal social media profiles. Users can attach a number of social media accounts to their SoAmpli profile, including Twitter, Facebook, LinkedIn and Instagram. All links are automatically shortened, which allows to follow their journey through the web and bring back information regarding click-throughs, number of shares and overall reach. Companies can then gather unique insight with SoAmpli’s real time statistics and downloadable dashboards to help measure success and showcase social content’s ROI. Within 30 days, SoAmpli can generate 30% more relevant prospecting for companies, boosting and showcasing the ROI of their digital content, while gaining unique insight and accessing new, untapped routes to market on social media. At the same time, SoAmpli helps bridge the highly expensive gap between the marketing and sales disciplines, effectively providing sales team with content ammunition – created by marketing - to close more deals and foster stronger relationships on social media. SocioAdvocacy is the quintessential Employee Advocacy tool that lets your employees discover your official marketing communication and share it with their external social networks, in turn generating positive conversations and sales for your company. It allows you to make a provision for your employees to earn reward points for engaging with and sharing the content that makes the advocacy program gamified. SocioAdvocacy also lets you track the effectiveness of advocacy marketing across social media, hence improving it with real-time feedback. Boost your sales and online presence by actively involving the most valuable marketing source you have, being your employees, your happy clients, your partners and resellers, or anyone else who's willing to vouch for you. Thanks to Ambassify, you as a marketeer or HR manager are able to identify your genuine advocates through patent-pending technology. Your goal? Build an army of advocates you can challenge through an exclusive community or via public landing pages. Your advocates can complete challenges like referrals, references, write product reviews, answer polls, engage on social media, co-create ideas and many more. Through advanced gamification, advocates gain points which they can use to unlock perks and rewards. A SaaS platform that automates referral programs that run as a consistent channel for high quality lead generation by incentivizing current customers, partners, and employees to reach out to their network of peers and invoke the trust of previously cultivated relationships. Amplifinity gives marketers the ability to create an outbound marketing program that yields inbound marketing results and gives sales and customer success teams the information needed to strengthen customer and partner relationships with repeated opportunities for positive engagement. SocialToaster is an enterprise-level fan engagement platform that uses the power of social media to amplify your brand’s message. The SocialToaster platform allows you to identify, recruit and activate your best supporters and vocal enthusiasts who are proud to share your brand’s content to their own personal social networks. Offering advertisers and publishers the products and services to boost their online business on a performance basis. Extole helps marketers acquire more customers and better customers at scale with our referral marketing platform. With Extole’s turnkey SaaS platform, marketers create a complete, efficient, and reliable acquisition channel by encouraging their customers to refer new customers on site, in app, and offline. Focused on creating the most advocates from existing customers, Extole powers refer-a-friend programs for Vistaprint, Advance Auto Parts, Lands’ End, Petco, Shutterfly, Starbucks and more. ePrize is a digital engagement agency specializing in mobile, social media, and web campaigns. Last year, more than half of Fortune 100 companies and many world-class agencies relied on ePrize's creative, technology and legal services. Since 1999, ePrize has grown into the largest online promotions platform, providing incentive-based promotional and loyalty programs in 44 countries for clients like Coca-Cola, Microsoft, The Gap, HSN, Miller/Coors, Yahoo!, P&G and AT&T. Headquartered in Detroit, ePrize also has offices in New York, Chicago, Los Angeles and Seattle. NextBee's advocacy program management tools can help accelerate word of mouth reach for brands through catchy, compelling and branded social widgets, programmable rewards and recognition rules, and group challenges. Pay with a Tweet is a social media referral tool that drives reach through social shares. Publishers can incentivize their users by offering products or content in exchange for a social post. This will generate additional website traffic and sales. Using social media as a referral technique is a grat way to get new customers. Pay with a Tweet offers the tool to do just that! It's Plug and Play! ChickAdvisor is a leading brand advocacy platform working with brands, their creative departments, and their marketers, to develop better consumer products and customer experiences. Trusted by the world’s best brands, SaaSquatch is the #1 Customer Marketing Platform; powering reward programs at every stage of the customer journey including Acquisition, Referral, and Retention. Ideal for companies with 10,000+ customers, Startups, Unicorns, and Fortune 500 companies, SaaSquatch grows customer lifetime value, reduces churn and improves customer loyalty. Our best-in-class success team and platform provide you an ever-growing library of customizable, in-app, Loyalty, Referral, and Acquisition incentive programs. Each program comes with detailed tracking, engagement widgets, fraud detection, multi-language and multi-program support, program coaching, and much, much more. Learn more about how the SaaSquatch Referral Platform can power your growth by requesting a demo today. The SocialTwist platform enables diverse solutions for customer acquistion through social referrals. Grow your business faster. Reward Dragon is web-based referral marketing software that helps local businesses earn more by increasing client referrals and building trust through client testimonials. Easy to set up. Easy to operate Reward Dragon uniquely combines testimonials, social sharing, and referral rewards into a simple, yet powerful referral marketing campaign: Set up in seconds You simply create an account with your business email and a password, and complete a short company profile. Your company’s personalized Testimonial Gallery page is automatically created. Default referral club and testimonial invitations We’ve already written the text for your referral club and testimonial invitations. All you need are customer names and email addresses. Reward Dragon takes it from there, sending a professional email on your behalf. And, if you would rather write your own invitation copy instead, no problem. Default referral reward coupons When customers refer their friends, colleagues and family, you offer a token of your appreciation. These take the form of coupons for savings on their next purchase, gift cards, or any other type of reward. Use the default reward, or create your own. Default new-customer coupons Savings coupons are an effective incentive for the first time customer, even when they’ve been referred to your business by a friend. Use the default savings offer, or create your own. Testimonial Widget Display a rotating carousel of your happy customers’ testimonials on your website. It’s as easy as embedding a short snippet of HTML on your home page. Your web visitors can click on the testimonial box to read more endorsements, and grab a new-customer coupon. Social Sharing You, your customers, and friends of the business can spread the word about your business by sharing their personal referral link via email or on Facebook and other social media channels. Any mobile or desktop device Reward Dragon works on any device with an internet connection. Free Basic Subscription Get started with a free account. Upgrade to the Standard subscription to unlock additional features. rFactr’s SocialPort™ gives organizations a way to scale social selling best practices across the entire enterprise. SocialPort helps to empower employee advocacy while preempting conversations with competitors, reducing the cost of customer acquisition and creating a measurable increase in revenue. Social selling techniques can create a competitive advantage but you’ll need a true enterprise-class social selling system in order to ensure results and compliance. SocialPort’s cross-platform interface is a push-button way to seamlessly interface social media with your CRM system delivering measurable social media ROI and tangible sales results. rFactr helps companies deploy SocialPort and even trains sales reps to mine social media in order to close incremental sales. Affiliate Tracking Software for E‑commerce and SaaS. Grow you business with the people who love it. Create your own affiliate program in minutes. 0% transaction fees. Reward, track & incentivize the affiliates you choose. Advanced social media sharing, so your affiliates can share the love. Learn more about our features here. welikeit is an intelligent, award-winning platform that automates and controls the distribution of your social media updates, powered by isla your dedicated Social Media assistant. Promoto is a B2B brand advocate marketing SaaS solution with a mission to convert customers into brand advocates. Affilae is an affiliate platform that empowers advertisers, networks, & buyers to create their own dedicated & secure affiliate network. Since its start in 2011, Aklamio has grown to become the leading European referral marketing solution for enterprise customers. Aklamio empowers not only Refer-a-Friend, Member-Gets-Member, and Employee-Gets-Member campaigns but also job referrals of more than 3.000 brands, generating sales uplifts of 20 percent and more. Market leaders like PayPal, Vodafone, E.ON, Telefónica, El Pais, AXA and others are using Aklamio’s technology. SOCIAL CONTENT, AMPLIFIED. Real-time, hyper-local social content capture, display, and analytics. AppVirality offers easy to use growth tools to run referral programs for E-commerce and SaaS businesses. Hi there! Can I help you find the best Brand Advocacy solutions?